Located at vicinity to Chandlofiya Railway Station, Vibrant Residency is a beautiful property that guarantees comfort and a wonderful time to its guests. 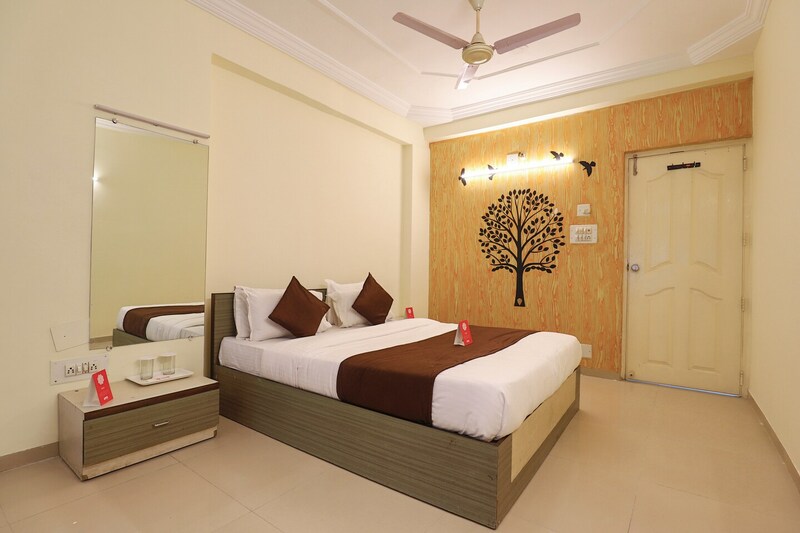 The spacious rooms are well-furnished with amenities that are sufficient for a convenient stay. These rooms are chic and beautifully decorated with bright painted walls, wall paintings, dark cushions, and white patterned curtains. The bathrooms are neat and come with a geyser for cold weather and a hairdryer. Other facilities include payment by cards, seating area, free Wi-Fi connectivity, wheelchair accessible, laundry service, and CCTV cameras. Guests can visit the Swaminarayan Museum, or take the kids to Vastrapur Lake and amusement park.